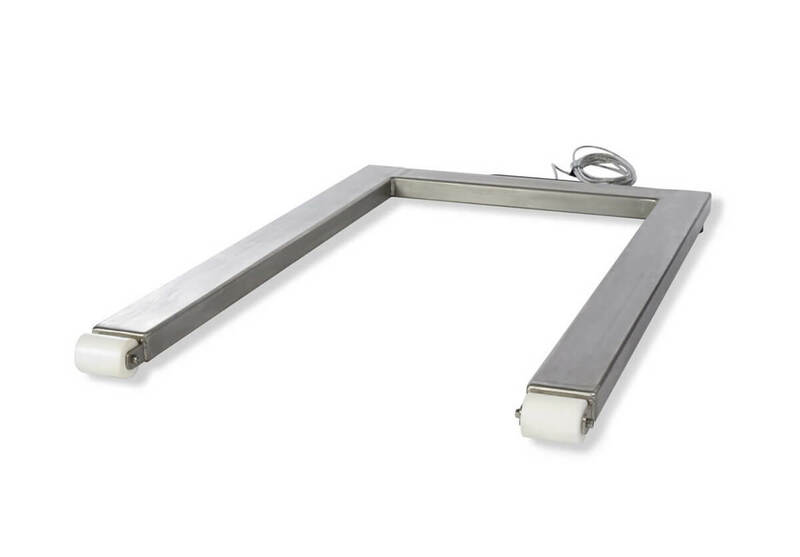 Product information "Pallet scale ASP-SST"
The BOSCHE - Pallet Scales of the ASP SST series made of stainless steel are equipped with hermetically sealed IP65 stainless steel load cells. These ensure a long service life, reliability and resistance to many years of daily stress in harsh industrial environments. Compared to painted models that can lose their paint layer and rust in constant use, the steel frame is wear-and corrosion-free. 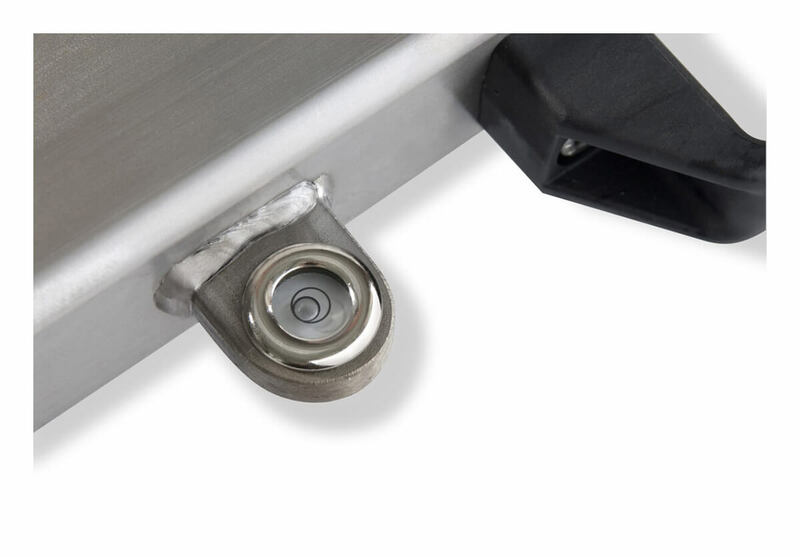 The electronics of indicator in stainless steel housing is protected according to IP65 against dust and water jets, so the balance can be left out in the rain sometimes. 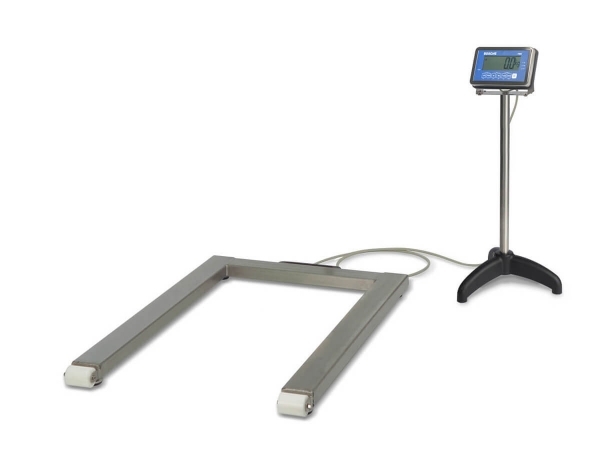 Due to the low weight, a pallet scale is the ideal solution for quick and easy weighing at different locations. 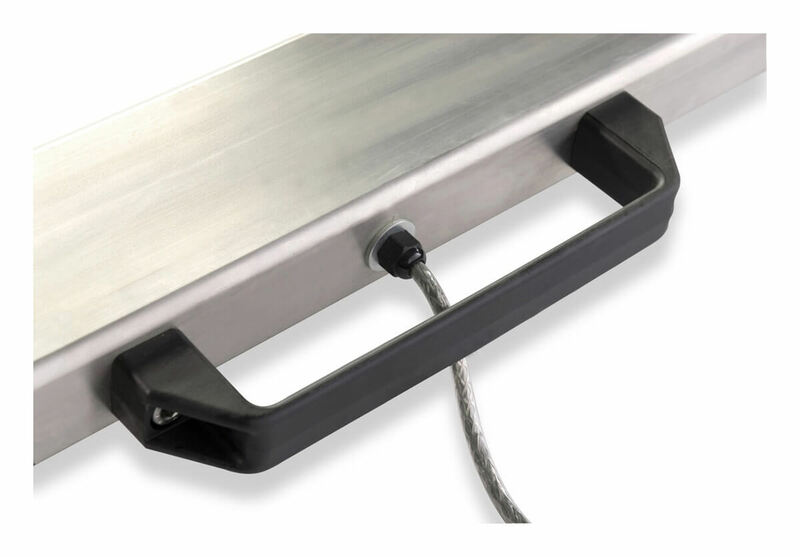 To make it easier to transport the lightweight 40 kg verifiable pallet scales, the U-frame is fitted with a handle and two roller wheels. To weigh pallets on the scales, it is not necessary to remove the pallet truck or the forklift truck forks from the pallet. Simply lower the stacked material and place it on the U-structure. 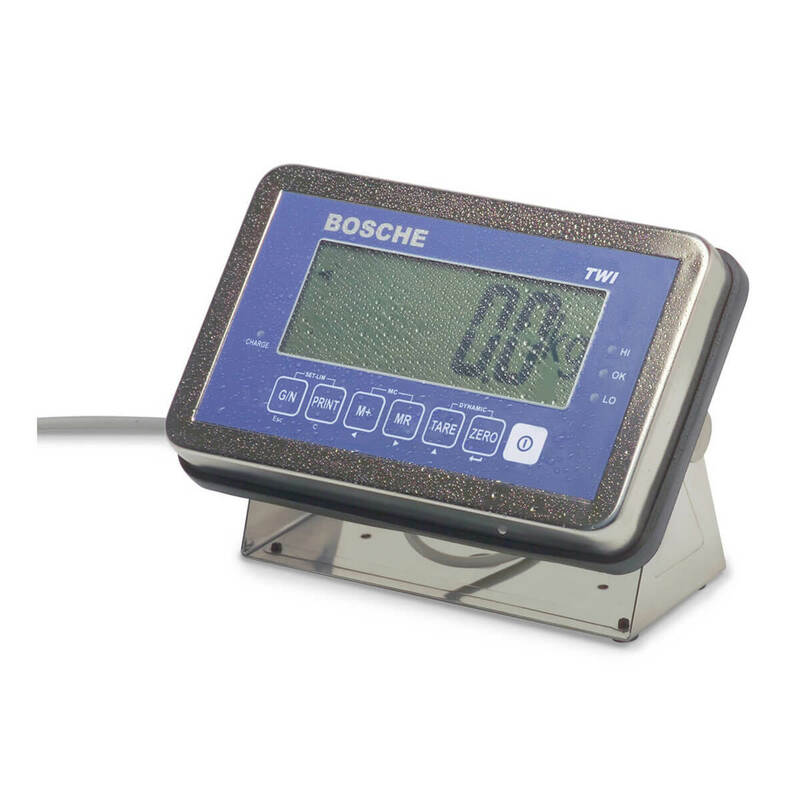 These pallet scales are developed so that Euro pallets fit exactly on the frame of the pallet scales and can be weighed. The combination of the weighing platform of the indicator TWI-SST is designed for simple weighing applications in verifiable and non-verifiable area. 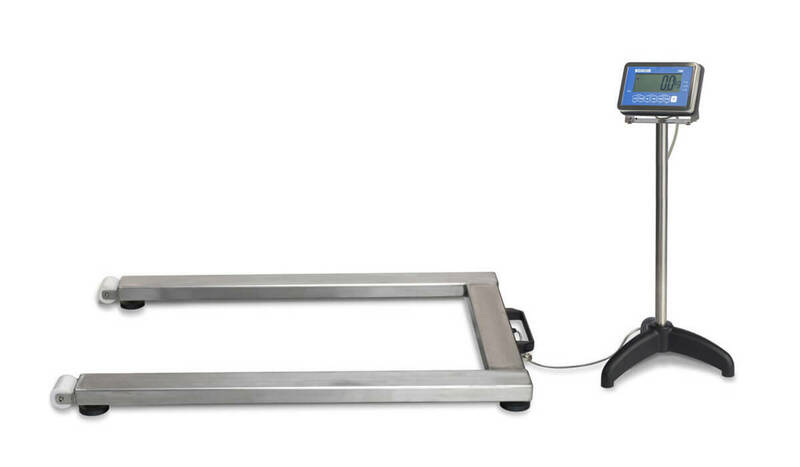 Due to their light construction, pallet scales are intended for mobile use. Related links to "Pallet scale ASP-SST"
By default, the indicator is powered via an AC adapter (100-240V/50-60Hz) or the internal battery. 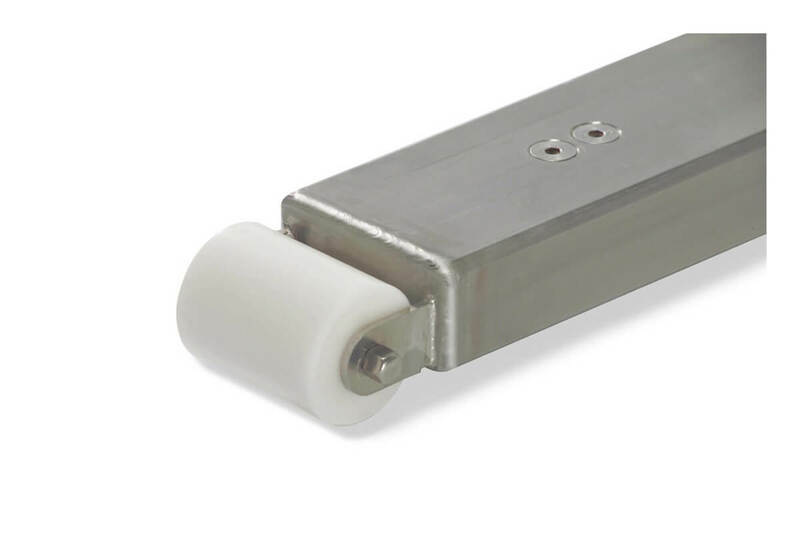 The optional 1.3 Ah battery pack provides with up to 40 hours of mains-free operation, absolute mobility, in which the device for stationary use can easy operate in network operation. The plug-in mains adapter is included as standard in delivery.